Let's start a section for adoption! There is also a mandatory sterilisation (estimated $200+/-) & AVA licensing which MUST BE completed before the dog goes back to their new home. All fees incurred for the sterilisation procedure and licensing will be borne by the successful adopter. 1) All the family members must be present during the visit so as to enable a fruitful 2-way communication / Q&A to establish the right match for both dog & man. 2) All queries pertaining to the dog will be addressed only during the meeting to the best of our abilities & knowledge at that given point of time, with whatever info we have on hand. 3) As you will be visiting a kennel facilities, for the safety of everyone (esp elders & children)...kindly limit your movement to the viewing and office area only. Our kennel helper will be on site to render whatever assistance that is needed. 4) In line with the legal framework of PDPA....we will only embark on further discussion with our prospective adopter if he/she wants to proceed with the adoption procedure. 5) Adopter must be of a legal age of not less then 21 years and below. 6) We will also be giving away a $50 Cash Voucher & a 5lbs Bag of Verus Pet Food for every successful rehoming for RETIRED BREEDING DOGS only. * Due to the nature/history of these retired Breeding dogs....we are not able to established their actual age, however they are all estimated to be between 2 to 4 years old. Help us share to increase their chances of finding a new home💝! We certainly look forward to meeting you this weekend! VFA adoption drive is coming!!!! 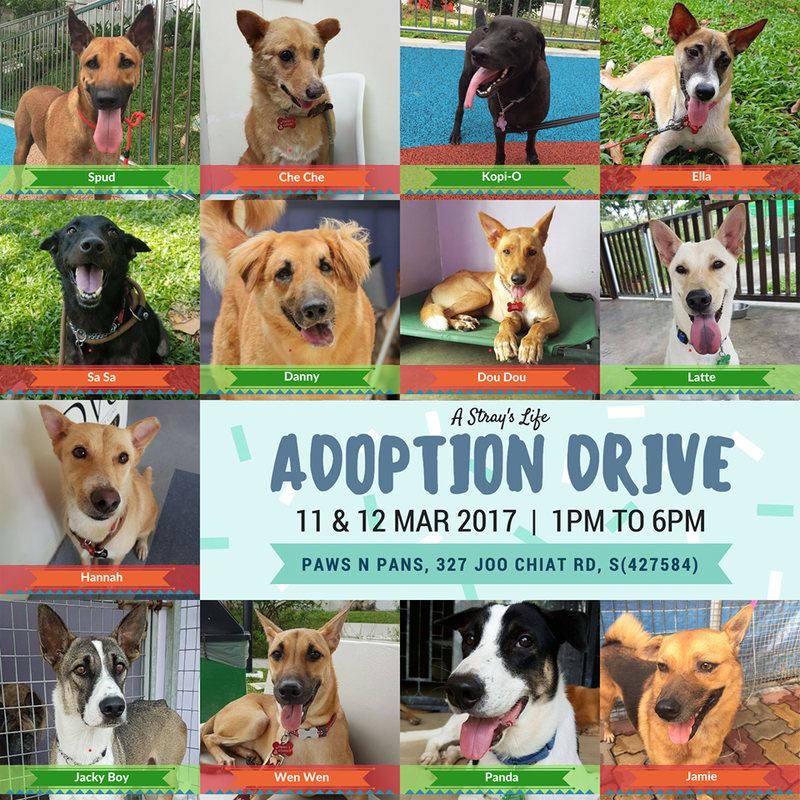 It's the time of the month, and adoption drives date has been fixed. Please do help us shout out for our event. Please tag your families and friends, please help us share this post. Please do have your whole family present during the interviewing and screening. T&C applies, you can refer to Voices for Animals on our FAQ. For those who are keen in cats, CWS is always on the lookout of fosters or adopters. All times are GMT +9. The time now is 09:13 PM.